'Little Black Dress' is a lovely glittery shade, but without all the hassle of removing glitter polish - love! I really like the textured finish of this polish, although it only lasts a day or two before it's worn down to a smooth, semi-matte finish. 'Fever Dream' isn't as dark on the nail as it looks in the bottle, which is sort of a shame, but I kind of prefer it a little brighter so it's okay I guess! This is perfect for the burgundy/oxblood shades which are hot at this time of year. 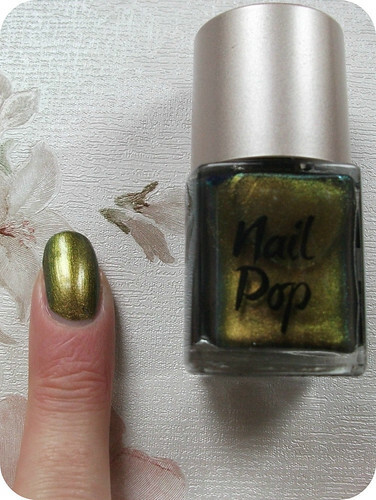 'Kimono' is a beautiful Autumnal multichrome, flashing orange, green and gold depending on the light. It reminds me of Autumn leaves and is seasonal without being too dark, which I like. I've had this ages and never properly worn it, but all that is going to change this season! 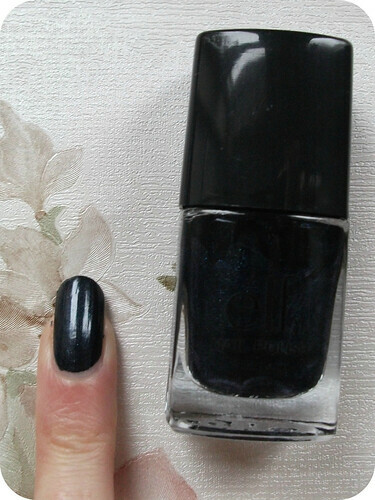 'Dark Navy' looks black on the nail at first glance, but on closer inspection it's exactly what the name suggests - a super-dark navy blue. In the bottle it looks to have a bit of shimmer to it, but sadly this doesn't seem to translate onto the nail. 'Blackberry' is my favourite of the polishes I own from the Gelly Hi-Shine range and, although I wish it looked as bright on the nail as it does in the bottle, I'm not complaining as it's still gorgeous, with a glossy finish and a deep colour which does remind me of September afternoons blackberry-picking - although I believe Barry M have actually re-named this polish 'Plum'? 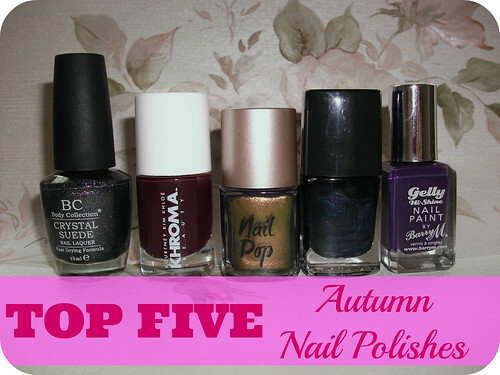 What are your favourite Autumn nail polishes? Do you own any of these polishes? Please check out this month's Featured Blogger, Sophie Jane, for gorgeous reviews, recipes and much more! 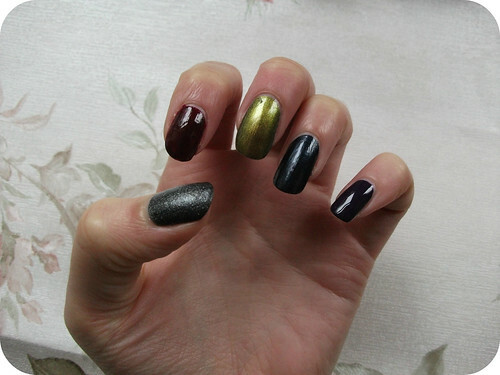 I have Plum and I adore it :) I really like the gelly range in general. I love the Gelly nail polishes by Barry M! I have the same colour and also adore it, I love how shiney it is!